Help your kids cut down on sugar everyday. Sign up for a free 'sugar swaps' pack. 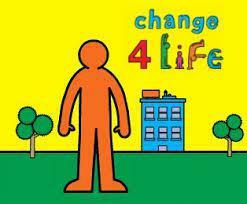 Search 'Change4life' NOW. On Friday 20th May Pirton Hill Primary joined 14 Primary schools and over 190children at the Luton Schools first ever `Change 4 Life` festival. The aim of the event was to inform and energise the children about making small changes in their lives. For more information please visit the `Change 4 Life` website or click on the image below. Photos of Pirton Hill Children to follow soon.